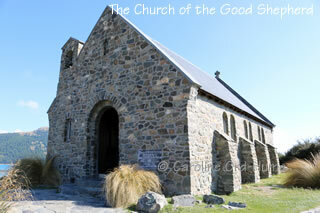 The Church of the Good Shepherd is a tiny church by the side of Lake Tekapo, in Mackenzie Country, in the Canterbury region of the South Island, New Zealand. 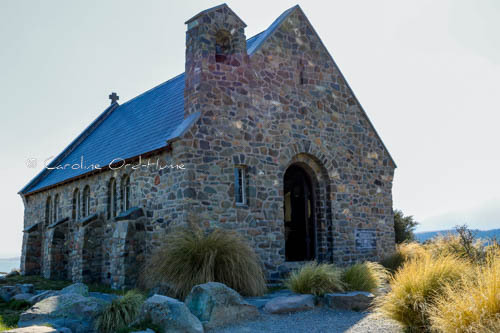 This small church now has fame due in part to the many international visitors to Lake Tekapo every year and no doubts also to the many thousands of photographs of its location. It has a window with a view framing the lake and mountains. 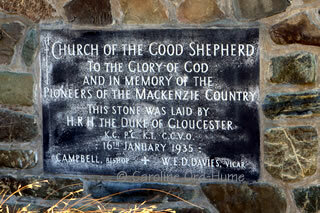 "This modest stone church was built firstly to the glory of God and secondly, as a memorial to the pioneers of the district. Designed to give the impression of quiet strength and simplicity it embodies the essential qualities of the early settlers who endured the tough Mackenzie environment. 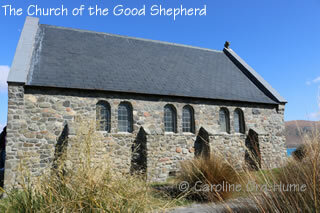 A place of worship, the church is available to all peoples to sit quietly, pray or meditate." Cambell, Bishop W.E.D. 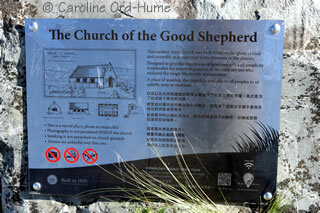 Davies, Vicar"